Product prices and availability are accurate as of 2019-04-16 19:30:36 UTC and are subject to change. Any price and availability information displayed on http://www.amazon.com/ at the time of purchase will apply to the purchase of this product. 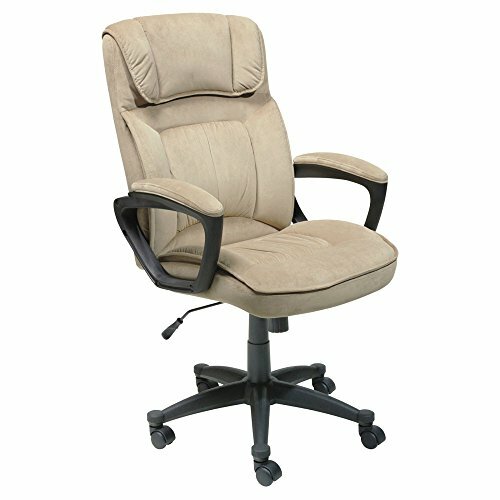 Sit comfortably for long periods of time on the soft Serta Microfiber Executive Office Chair - Light Beige. 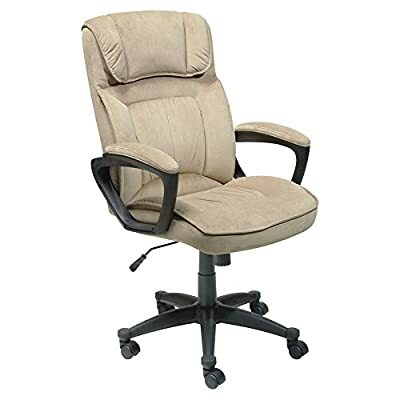 Upholstered in soft and smooth micro-fiber, this plush office chair comes with layered body pillows that offer your body a serene and tranquil seating experience. 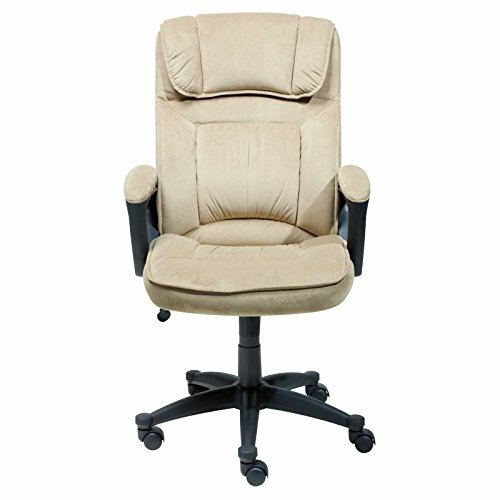 Its pillowed headrest provides added comfort and support for your neck, while the contoured lumbar ensures exceptional support for your lower back. 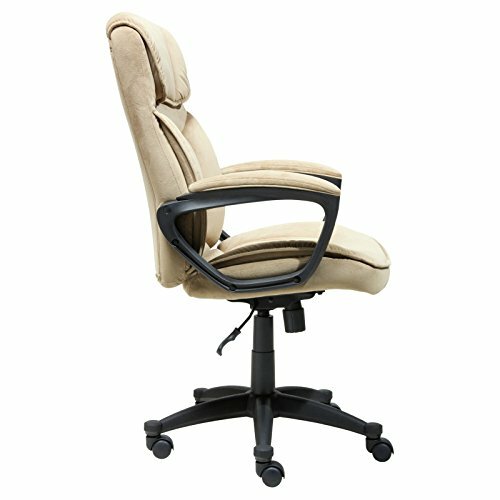 For lessened pressure on the back of the legs, this sleek chair features a waterfall seat edge intended to increase leg circulation and reduce fatigue. 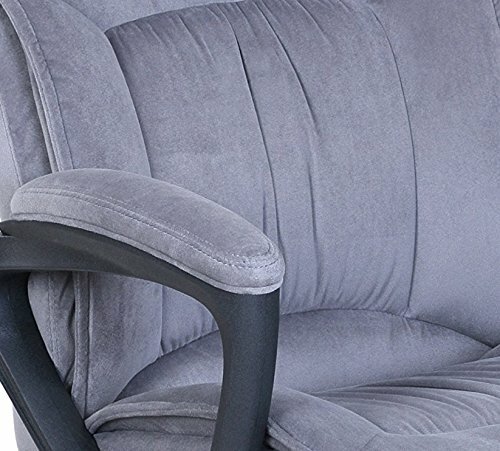 Finding the perfect seating setting is made easy with the pneumatic seat-height lift with adjustable tilt tension knob and reclining lock out features. Assembly required. Sturdy metal frame. 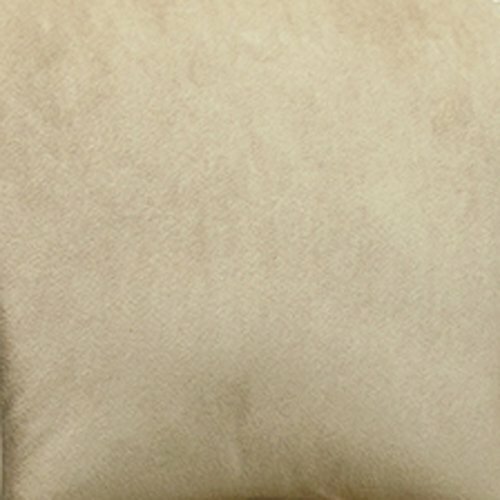 Soft and durable microfiber upholstery. Pillowed headrest and contoured lumbar section. Waterfall seat edge with pneumatic seat-height lift. Assembly required. Dimensions: 24.75W x 28.75D x 44H inches. Seat Height: 18.25 inches.